Dining tabole decorations dress up your table in an elegant way. Always try to decorate your dining table in a way that every guest gets stuck into the beauty of this dining table. It reflects your personality as well as your life style. Dining table decorations not only changes your entire decoration but also protects your furniture from the stain of food and water. You have many opitions for dining table decorations. 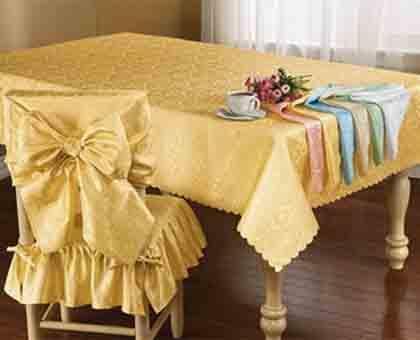 Dining table cloths make your dining table nice looking and delight your senses while taking meal. They protect your dining table from scratches and dirt. 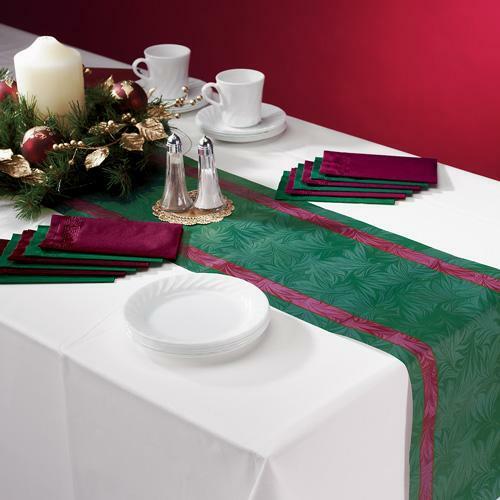 There is a variety of fabrics such as cotton, silk, rayon, organza, organdy, jute, polyester, satin etc for table cloths. 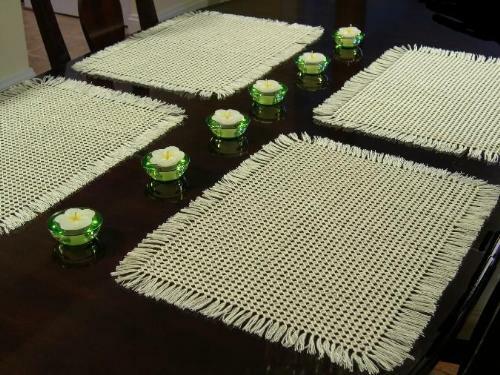 Dining table cloths are available in various stunning designs such as printed, designer, plain, hand knitted, sequined, handmade embroidery, checked etc. Cotton table cloths are the most common table cloths and are easy to wash. Polyester table cloths have become popular due to their easy cleaning and attractive colors. 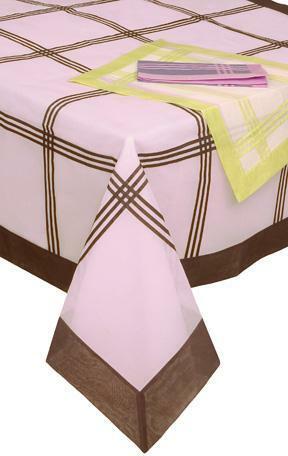 Silk, organza and organdy table cloths are expensive and require more care than other fabrics do. But they look attractive when used for a special occasion. Dining table mats are an essential part of dining table décor. When you are going to choose table mats for your dining room, you should be careful for excellence and durability of their material. A lot of designs and styles are available in table mats. The price range of table mats depends on their sizes, colors and textures. 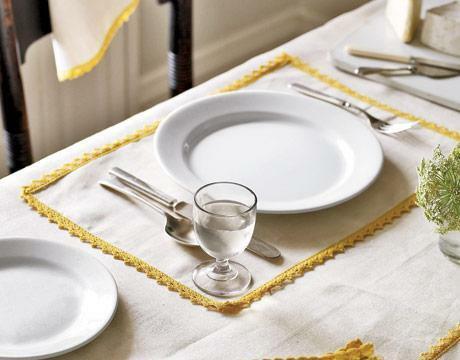 Dining table mats are available in different fabrics such as cotton, jute, linen, etc. Different patterns like floral, geometric prints etc. are available in enthralling colors in the market. Stylish table mats are suitable for casual and formal occasions. Jute and straw table mats are environment-friendly as they consist of natural material. For rustic style interior, jute mats are simply wonderful. For modern style interior, you can use cotton and linen table mats which are very popular due to their durability and ornamental appeal. Dining table skirting makes your table arrangement more appealing. It forms border along the boundary of table and certainly changes overall look of the dining table. Skirting depends on styles of pleats. Popular pleat styles are accordion, box, diamond and shirred pleats. 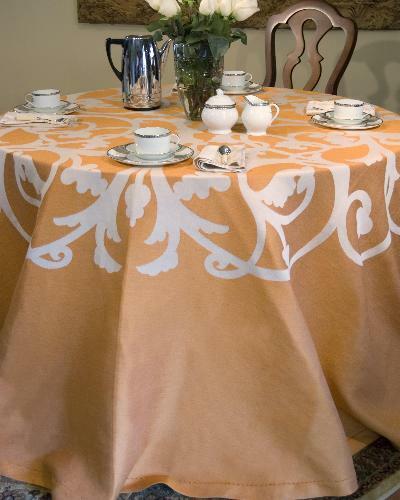 You can either match or contrast table skirting with table cloth to boost up table décor. Dining table skirting creates a wonderful draped effect on the table. Polyester table skirting is very popular as it does not require any specific care and maintenance. For luxurious look, satin and velvet are the most appealing fabrics for table skirting. Satin and velvet fabrics have sheen and make any occasion inviting. 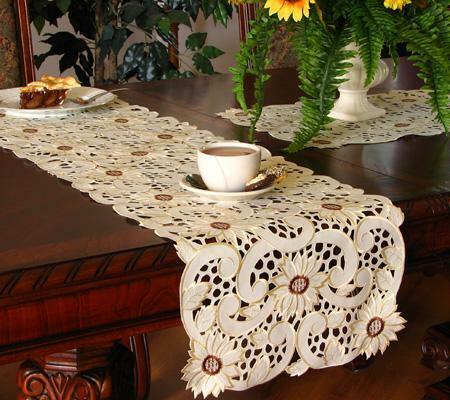 Dining table runners offer a fabulous look to your dining table with a dash of style. They are available in marvelous colors which you can use on your desks and sideboards also. 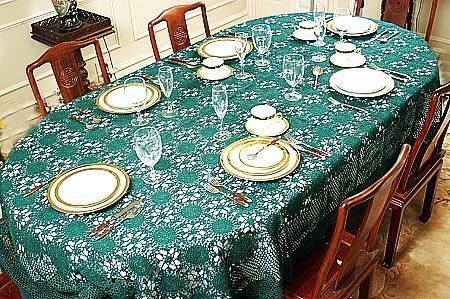 The fabrics used for dining table runners may be of linen, cotton, and satin. They are available in unlimited options of designs. Cotton and linen table runners have made their place in the market due to their well designing and fine patterns. Colored straw table runners look magnificently superb on your table. Jute table runners are also gaining popularity due to their durability. But always keep in your mind the style of your interior while making use of dining table runners. For modern style, you can use cotton and linen table runners. Dining table runners serve as place mats. Various luxurious fabrics are used for making table runners like cotton, silk, linen, polyester and other exotic fabrics. You can add tassels, fringes and decorative threads to your table runners for enhancing your décor. Place candles at your dining table and create a magical mood within your home. Set centre candles a few inches below eye level. If you want elegant dining, use tall tapering candles or short pillar candles are suitable for informal dining. 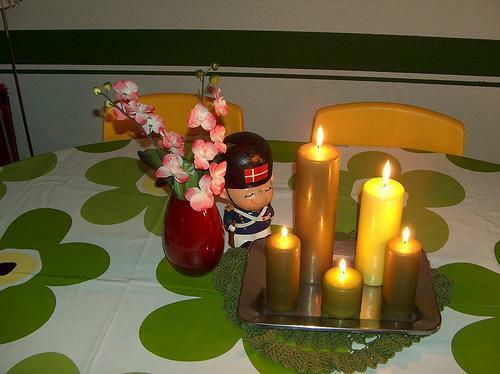 You can use decorative candle holders to place candles.. Nowadays floating candles are used frequently. Floating candles enhance the beauty of dining when placed in transparent containers.